Cabernet Sauvignon, Syrah, Tempranillo, Graciano and Petit Verdot. A certain processing protocol is applied to each variety. This is done to obtain the best from each of them and achieve wines with different qualities that enable us to build, later during blending, a complex mixture which is rich in undertones. 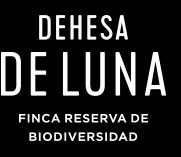 Where they help and complement each other to create our Gran Luna. Consequently, parameters such as the fermentation temperature, the intensity and duration of the maceration of the skins or the management of the malolactic fermentation, vary from one batch to another according to what each variety offers us and what we want from them. Gran Luna goes one step further. Because it is the result of having wanted to take its composition very far. The capacity of carrying this out is reinforced by the diversity of plots and the technical complexity of our vineyard. The Cañada del Navajo provides us with between 7 and 9 different wines in order to compose the wine. Upon tasting it, we find a fruity wine, together with a very present woodiness, which we do not mask behind the fruit. It is a potent wine which is lengthy in the mouth; both rounded and amiable. With a palpable acidity that gives it liveliness. Finally, it is remembered as complex and elegant. It’s memory remains in time.